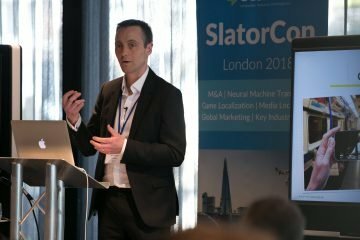 ZOO Digital CEO Stuart Green addressed participants at SlatorCon London in May 2018, sharing his insight from “Inside Media Localization” and unpacking the key themes of market and company growth, localization preferences per geography, the use of cloud-based platforms, and the state of neural machine translation within the media localization industry. Although Apple and Netflix introduced over-the-top (OTT) services back in 2006 and 2007 respectively, wide-scale adoption was not immediate since it took many years for broadband internet to become readily available for the mass market. In fact, it wasn’t until ten years later in 2016 that the tipping point came and “industry sales through digital channels exceeded for the first time the value of sales through physical products, such as DVD and Blu-ray,” said Green. Our technology was in the right place at the right time. Indeed, this growth is reflected in the company’s 2017 outputs: 21 million minutes, 122 million files stored, 250 million subtitles and captions, 121 languages and 40+ formats, according to Green’s presentation. Green told the audience how different local markets express different preferences in terms of localization methods; i.e. dubbing is more common in places such as France, Germany, Italy and Spain, while subtitling is more prevalent in the Nordic countries. 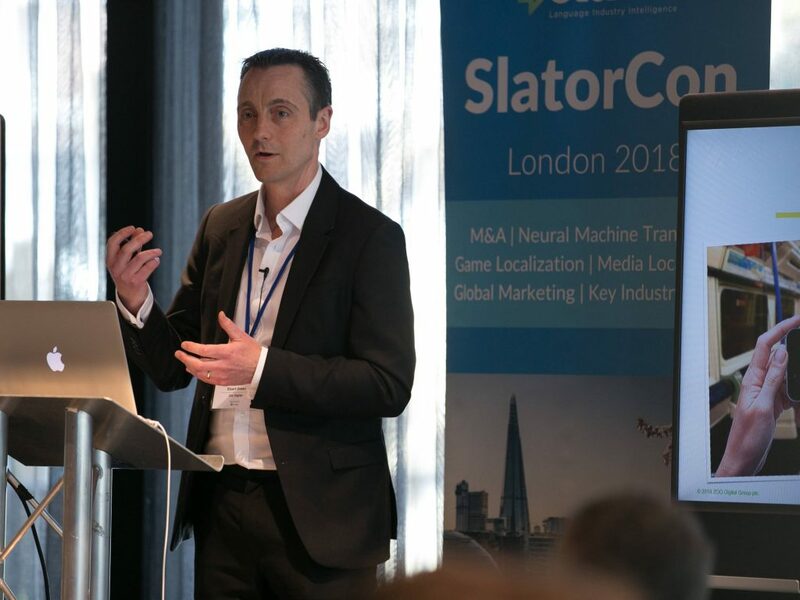 Dubbing and subtitling are also distinct from each other in terms of the market segmentation: the “dubbing market is actually highly fragmented whereas there is much more consolidation in subtitling”, Green told SlatorCon attendees. MESA stats show that the “top four vendors in subtitling account for around about 60% of the market, whereas in dubbing the top four players account for only 20%,” he explained. To provide customers with these subtitling and dubbing services, LSPs traditionally have a localized “bricks-and-mortar operation”. For dubbing, this requires a central recording location, with a live room or control room, serviced by a recording engineer and dubbing director at a digital audio workstation. In the case where subtitles are produced in the traditional manner by LSPs, Excel and email are still widely used as the tools of communication and information transfer. What is more, many LSPs can take care of subtitling or dubbing, but not usually both. ZOO, however, has developed a cloud-based solution, which allows the company to operate “with typically a much lower internal headcount than many of our competitors.” ZOO’s platform enables dubbing to be done in “any suitable recording space”, with a web browser, microphone and internet connection. The workflow is therefore a distributed operation, with no recording engineer and no complex audio workstation, and dubbing sessions can be self-directed or remote-directed by a dubbing director via video link. Green stated that “the strategy from the outset was to build not only a scalable platform but a scalable workforce in order to provide those specialized linguistic services.” True to form, the company setup requires comparatively minimal infrastructure, with ZOO running its global operations from UK and LA locations in what Green calls a “capital-efficient operation” in which they offer both subtitling and dubbing on a global basis. While the media entertainment market is booming thanks to the digitization of distribution methods, it remains resistant to the most disruptive technology hitting the localization industry: neural machine translation (NMT). Green explained that this is down to the fact that the content to be localized, i.e. primarily dialogue, contains a lot of colloquialisms, cultural references and humor, which means it is highly context-specific. Moreover, dialogue tends to be idiomatic and / or sarcastic, dialectal and punctuated with malformed grammar, which makes it particularly unsuitable for current-state NMT technology. 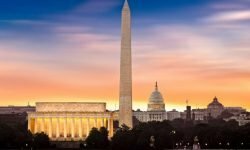 According to Green, ZOO Digital “has taken a disruptive approach in how we go about serving this market”. Indeed, the next challenge for LSPs operating in this sector will be in the race to stay ahead of the curve for when, not if, future-state NMT begins to impact on the media entertainment localization space. Register now for SlatorCon San Francisco for insights on media localization and other fast growing industry verticals.